 Applying to PDM University is an easy and quick process which can help you get admitted in no time. Candidates are required to apply online after ensuring eligibility conditions. For online Application Click here. Duly filled all relevant details on the online application form as per guidelines. Upload your recent passport size photograph and copy of signature on the application form. Complete the application process by paying the Application Fee. The Application Fee for Current Year Admission is Rs 1000/- (For UG & PG Course) & Rs 500/- (For Diploma Course). The Application Fee payment can be made Online using Credit Card / Debit Card or via Scratch Card. Candidate may choose payment option Cash payment at PDM also. After submission of the application form online, the system will generate an application number. The application number along with auto generated password will be mailed to your registered mail address. You can also check status of application form by visiting link click here. Status can be checked by entering the application number and password. Candidates are advised to take two copies of the printout. One copy to be submitted at the time of physical counselling. The second one to be retained by the applicant. PDM University will send intimation about the Counseling / Admission schedule on the candidates email address and registered mobile no.